The situation in war-torn Yemen, already facing the most severe humanitarian crisis in the world, is getting even worse, the United Nations warned on Thursday. “The humanitarian crisis in Yemen remains the worst in the world,” said the UN Office for the Coordination of Humanitarian Affairs in a statement. “An estimated 80 percent of the population – 24 million – require some form of humanitarian or protection assistance, including 14.3 million who are in acute need. 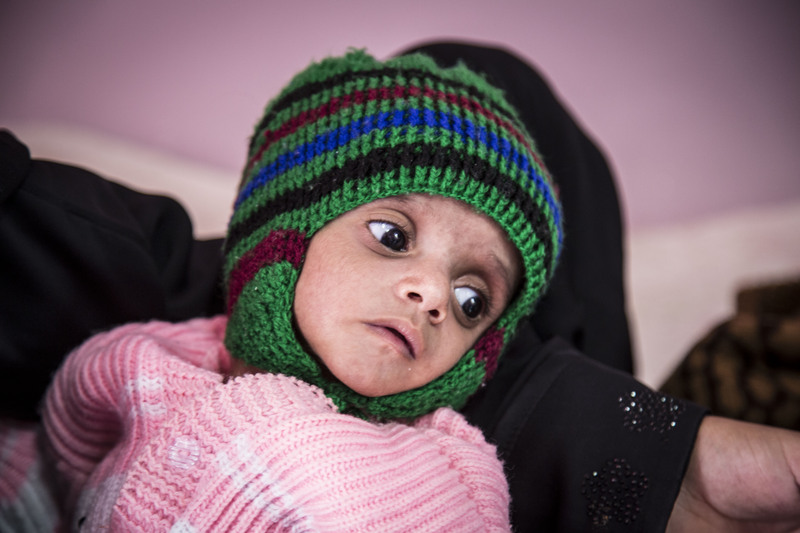 85,000 children have starved to death since 2014, when fighting broke out between the Saudi-backed Yemeni government and the Iran-aligned Huthi rebels in a conflict that has pushed the country to the brink of famine and economic collapse. “The violence will have to stop. Unless it does, this country will become a country of living ghosts,” Abeer Etefa, the Senior Spokeswoman for the United Nations World Food Program, told The Globe Post in December. The war between the Huthis and pro-government troops escalated in March 2015, when President Abedrabbo Mansour Hadi fled into exile in Riyadh and a Saudi-led military coalition intervened against the rebels. Since then, around 10,000 people – mostly civilians – have been killed and more than 60,000 wounded in the conflict, according to the World Health Organization. In addition to facing mass-starvation, the Yemeni people have been subject to a massive cholera outbreak resulting from the coalition bombing of water treatment infrastructure. The coalition’s bombing campaign in Yemen has been condemned by the U.N. for indiscriminately targeting civilians and civilian infrastructure, resulting in possible war crimes. The U.N. has also condemned atrocities reportedly committed by the Houthis, warning war crimes have likely been carried out by both sides. The United States House of Representatives on Wednesday passed a war powers resolution that seeks to end American military support for the Saudi- led coalition in Yemen. The U.S. has played a key role in supporting the Saudi-coalition, supplying billions of dollars in high-tech weaponry. U.S. personnel have also worked closely with the Saudis to assist in training, intelligence sharing, and targeting, and until November, aerial refueling. Lawmakers speaking in favor of the resolution argued that support for the coalition makes the U.S. complicit in the perpetuation of the humanitarian crisis. President Donald Trump’s administration has decided it won’t certify to Congress that Saudi-led forces are attempting to reduce civilian deaths in the conflict as is required by the National Defense Authorization Act, Al-Monitor reported Wednesday. Each passing day brings more death and despair for the Yemeni people. The continuation of the conflict is also putting enormous strain on the medical professionals and volunteers on the ground in Yemen – many of whom have not been paid in months.